Labor proposes a new $280m Evidence Institute for Schools, but where is the evidence we need it? The Australian Labor Party recently announced it would invest $280 million to fund a new educational research institute if it wins the next federal election. The Deputy Opposition Leader, Tanya Plibersek said Labor’s proposed Evidence Institute for Schools would “take politics out of the classroom” and be “independent of government”. She also said the new institute would “put an end to decades of ideological battles about school education”. According to mainstream media the idea was warmly welcomed by several education stakeholders, including by the President of Australian Primary Principals Association who said there is currently “no one place” he could go to for “valuable independent, peer-reviewed research” in Australia, and the director of the Grattan Institute, Peter Goss, who was reported in The Australian as saying that there is “not enough education research in Australia” and “an independent body is the way to go”. You would be forgiven for believing that Australia is lacking high-quality independent research in education. But the evidence says quite the opposite. In the current policy environment, which claims to be ‘data-driven’ and evidenced based, Labor’s proposal for a new ‘independent’ educational research institute seems lacking in credibility. The evidence is Australia produces some of the best education research in the world. Work by education researchers in Australia impacts education practice both here and internationally. According to world rankings such as the Quacquarelli Symonds (QS) World University Rankings we have five universities in the top 30 ranking universities in the world for education research and eight in the top fifty. Compare that with the United Kingdom for example. The UK has more than twice the number of university departments of education, but with four in the top 30 and seven in the top fifty. On the world stage, Australia punches above its weight in terms of quality education research. These rankings are based on quality independent peer-reviewed research produced by university education departments, as judged by world-leading scholars. Our education research is highly regarded around the world. Take for example research by Australians Lingard and colleagues on a ‘rich tasks’ approach to assessment, which has informed curriculum development in Singapore and also in Scotland’s “Curriculum for Excellence”. Or Gale and Parker’s research on university student transition in Australia ,which has been used by the University of Edinburgh to develop an Academic Transitions Toolkit for use by lecturers and also by Quality Assurance Agency (QAA) Scotland to develop a Student Transitions Map. And there are lots more examples like these. So, to say that Australian education research is non-existent, not well regarded internationally or not transferrable into policy and practice is purely ideological. It is not based on the evidence. But what happens if we ignore the evidence and establish a not-so Evidence-Based Institute anyway? So-called independent research bodies have been established in other countries, such as in the United Kingdom and in the United States (e.g. The Institute of Education Sciences). One potential threat of these ‘independent’ research bodies is that a political party can essentially ‘purchase’ research to support their desired political agenda. Education policies may be established with very little reference to research that exists outside of the Institute. They can also impose one particular way of doing research as the ‘gold standard’. That is what’s happening in the UK with the government-sponsored Education Endowment Fund, with its exclusive bent for random control trials, despite these being discredited in the social world of education. The effects of this political interference in education research is concerning for the future of education in countries like Australia. For example, independent research has shown that current reforms into the initial teacher education sector in Australia is based on highly questionable data and tends to be dominated by cherry-picking of out-dated reports. The prevailing logic of teacher education policy is now very clearly ideological rather than based on the research evidence. We also need to consider the ramifications for education and schools. The expenditure of $280 million towards an evidence institute for schools—when we already have some of the best research in the world—will divert much needed funds away from schools. In an environment that is consistently calling for increased funding for under-resourced schools, it is questionable whether this large sum of money is being more attentive to political agendas, than paying attention to more pressing concerns for parents and students—over-subscribed schools and under-resourced schools. The Sydney Morning Herald recently reported that there has been “a record number of demountable classrooms pop up around public schools, with more on the way”. It is difficult to support this amount of funding being diverted into external institutes, given the pressing need for greater resourcing in our neediest schools and especially when we already have the infrastructure to produce quality research. It is true that increased funding for schools will not guarantee improved performance. But research has consistently demonstrated the relationship between ‘resource rich’ environments and school performance. Education researcher Jeanne M Powers found that school performance is positively correlated with the level of resources within a school, including ‘qualified teachers, sufficient and up-to-date textbooks, and adequate, safe facilities’. Further research in this area refers to ‘resource-rich and ‘resource-poor’ schools, stating that ‘resources and school performance are positively correlated’ . It is essential that funding is driven into the classroom, rather than away or outside of the classroom, as much as possible. When it is driven away from the classroom, this becomes a larger problem around effective distribution. For example, Estonia and Poland, which spend around US$40,000 per student, perform at the same level as Norway, Switzerland and the United States, which spend over US$100,000 per student. Similarly, New Zealand, one of the highest performing countries in reading, spends well below the average per student. America tends to tie up more of the resources in administration. There are more layers of administration and therefore less money getting into the classrooms in schools in many system… The place you really want to spend the money is as close to the classroom as possible. The ALP’s pledge to fund an ‘Evidence Institute for Schools’ lacks attention to what is needed most—funding for schools and classrooms. Further, the effectiveness of this large sum of funding spent on an institute is premised on the notion that it will produce significantly more effective research than is already available. We believe providing funds for educational research is, indeed, invaluable and important. Many educational researchers in Australia would support a pledge for increased investment. However as we see it the current systems are not broken. There is already so much existing and emerging world class, independent educational research in Australia. The problem is, it is not being widely distributed or acted upon. If Labor wants to do something about educational research, we would recommend investigating more efficient ways to encourage the uptake of educational research in our schools and universities. Schools and teachers reportedly find it difficult to access peer-reviewed journal articles, due to the cost of peer-reviewed journal articles. They can also be difficult to locate and employ quite dense language. It is important to ensure that existing research is readily translatable to classroom practise for time-poor teachers. As we see it, Australia needs to improve overall accessibility of education research to the public. This could be achieved by researchers discussing their research or disseminating their research more broadly via public platforms. As academics such as Megan Boler reminds us, it is important for researchers to engage with the media and the public, in order to speak back to challenges towards democratic institutions such as education. researchers have a responsibility to ensure non-technical summaries of their research are available, their publications are properly logged in searchable depositories, and to engage with relevant opportunities, such as calls for evidence from Parliamentary Select Committees. If the Labor Party or the Australian Government are seriously looking for ways to move closer towards research-informed teaching and schools, they should start by promoting and distributing the world class educational research that Australian educational researchers are already producing. We are being misled about a key plank of Christopher Pyne’s higher education reforms and, until now, the issue has received little public attention. The idea to allow private providers of higher education, including TAFEs, to access commonwealth supported places was sold to us as a way to give more low SES students access to higher education. The logic goes like this: low SES students are over represented in vocational education institutions and so they are the most likely group to benefit from these institutions offering higher education (i.e. sub-degrees and bachelor degrees) and pathways to higher education; if TAFEs and private providers are given access to higher education funding through commonwealth supported places (CSPs) there will be more access to higher education for low SES students. Recent research shows this logic is faulty. A 2014 research project funded by the now defunct National VET Equity Advisory Council (NVEAC) shows non-university degrees, including associate and bachelor degrees, offered by private providers and TAFEs, are not, as might be assumed, dominated by low SES students. In fact, they are dominated by high SES students. It’s not that low SES students would like to get into these degrees but can’t, out-muscled by their high ATAR, high SES peers. Instead, if low SES students want a sub-degree or a bachelor degree, they prefer to get it from a university. Recent research commissioned by the National Centre for Student Equity in Higher Education (NCSEHE) shows students from high SES backgrounds dominate student preferences for TAFE degrees. It also shows these high SES students have low Australian Tertiary Admissions Ranks (ATARs), at levels on a par with and sometimes below the ATARs of low SES students enrolled in universities, about which the media and the sector seem to be in a panic. At best, then, to say that low SES students will benefit from being channelled into sub-degree programs offered by TAFEs and private providers is conjecture, a ‘leap of faith’. And in a context where politicians and education leaders bleat about the need for policy to be informed by evidence, by which they mean statistical or ‘hard’ data, the Kemp-Norton ‘finding’ in the absence of such evidence looks more like politics than good research. In the short term, it is high SES students currently dominating enrolments in TAFE and private provider sub-degrees and bachelor degrees who will benefit from these institutions accessing CSP funding. And in the longer term, when TAFEs become the government’s ‘preferred’ provider of higher education for low SES students, as Further Education Colleges are in the UK, high SES students will benefit from the increased status of a higher education gained at a university, particularly high SES students with low ATARs. And while this is going on, commonwealth support place funding for higher education will be redirected from universities to private providers listed on the Australian Stock Exchange. Trevor Gale is Professor of Education Policy and Social Justice at Deakin University, and a past president of the Australian Association for Research in Education. From 2008 to 2011 he was the founding director of Australia’s National Centre for Student Equity in Higher Education. 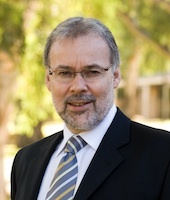 He is chief investigator on two current Australian Research Council (ARC) Discovery Grants, one researching the social justice dispositions of secondary teachers in advantaged and disadvantaged Melbourne and Brisbane schools, and the other researching the aspirations of secondary school students in Melbourne’s western suburbs. It is good news for many of us involved in higher education that the radical changes to higher education proposed by Education Minister, Christopher Pyne, might not make it through parliament without amendments. But not everyone opposes his plans. Vice-chancellors of several Australian universities seem to like the idea of fee deregulation. It would mean they could charge higher fees, particularly for high demand courses and particularly in high status institutions, such as The University of Sydney and The University of Melbourne. There are some wild predictions of increased quality, but the real reason for the support is that our universities are grossly underfunded – the legacy of the Howard years of below OECD funding levels. Those around for the post-Howard after-party will recall vice-chancellors laying bare the higher education funding crisis in the lead up to the 2009 budget. To the surprise of most, the new Labor government kept its word and increased funding, although not at levels universities needed and later it even took some funding back. Some might find abhorrent the latest escalation of market ideology but the reality is that governments are retreating from public investment in higher education. VCs have been placed in an invidious position, to keep the system operating at or above world standard but without the resources they need to do it. ‘We need more money and governments won’t give it to us’. However the Federal Government likes the idea of fee deregulation and a “demand driven” funding system because it fits with its strategy of devolving responsibility for public services while retaining control. And it fits nicely with the recent Commission of Audit to increase student fees. The idea of fee deregulation is one of the many recommendations made by the Kemp and Norton Review, instigated by Christopher Pyne, to look at, and make recommendations, in relation to the lifting (in 2012) of previously imposed limits on the funding of bachelor-degree students at public universities. The full review can be found here. Another of the Review’s findings that seems to be popular is that low SES students would benefit from accessing sub-bachelor degrees (Diplomas, Advanced Diplomas and Associate Degrees) because it will provide another pathway into higher education. Even the revamped National Centre for Student Equity likes that one. But where is the evidence that we need another pathway? Students from low SES backgrounds are accessing bachelor degrees in universities in record numbers and continue to be retained at rates similar to their peers. Redirecting them to sub-degrees will increase the time and money they need to invest in order to get to the same destinations, further penalizing them for their disadvantage. Kim Carr, Labor shadow minister, warns that with the removal of price control, elite universities will increase degree fees, and thus (because of debt burden fears) the poor will opt for sub-degree courses in second-rate higher education institutions. Universities Australia Executive Officer Belinda Robinson says that any changes to higher education should be debated and be evidence based. She also questions the legitimacy of governments giving money to private higher education providers listed on the stock market. Weighing into the debate, Chief Scientist Ian Chubb says that Review claims about the employment shortages for science graduates are not supported by the data. Staff and student unions point out that Australian university students are already paying high fees by world standards and any rise will leave them heavy in debt. And if the National VET Equity Advisory Council hadn’t recently been disbanded by the government, it would have tabled its recent research evidence that private higher education providers, including TAFEs offering degrees and associate degrees, have a poor equity record in higher education. As a ‘pathway’, their retention rates for equity groups are particularly shocking. The bottom line is the combination of raising student fees and redirecting low SES students into sub-degrees will mean students from disadvantaged families will be relegated to low status institutions and degrees, if they are able to get a higher education at all. No wonder the Review recommends ditching the attainment and participation targets. I’m pyne-ing already for the old days. Trevor Gale is Professor of Education Policy and Social Justice at Deakin University, and a past president of the Australian Association for Research in Education. From 2008 to 2011 he was the founding director of Australia’s National Centre for Student Equity in Higher Education. He is chief investigator on two current Australian Research Council (ARC) Discovery Grants, one researching the social justice dispositions of secondary teachers in advantaged and disadvantaged Melbourne and Brisbane schools, and the other researching the aspirations of secondary school students in Melbourne’s western suburbs. He has recently completed research for the National VET Equity Advisory Council on the equity track record of private higher education providers.